Fear – What scared you this year more than anything else? Did you learn anything new about yourself? Locked in my head is an image of myself in 6th grade. Geek would have been the kindest word I was called. I read voraciously. I loved sci-fi/fantasy, including Doctor Who. I loved computers (C64!) and had dabbled in programming since age 7. And don’t get me started on the pile of stuffed animals and Legos. I wore glasses, I had braces, I didn’t know what to do with my hair, and my clothes sense was nowhere. I also sat in the front of the class because I wanted to learn. Oh, they didn’t miss a trick, those kids. But I had loyalty, tenacity, and hell, I had brains, and they couldn’t get any of that away from me–or anything else. And even in the midst of my cluelessness, I found friends I still talk to today. I’m grateful for that, and for the good times we had. We grow, we change, we learn. Intellectually, I know I’ve come a hell of a long way from that 11-year-old existence, and again from high school, and again from college. Yet I think I’ve still been seeing myself as that 6th grader despite all evidence to the contrary. My friends, for example, are very complimentary, my husband even more so, but while I take it in and listen and nod (and blush), most of me just doesn’t believe it. It has nothing to do with their sincerity; it just doesn’t reconcile with that image in my head. So what scared me this year is realizing I have far more power within me than I’d wanted to let myself believe. I use that phrasing on purpose. I’d been peeking out of my comfort zone all this while when I could have been doing so much more, because it was safe even if it wasn’t anywhere near ideal. This power was always there. And I know how to use it. I don’t have to hang on to that 6th grade image. I don’t have to keep myself down. I am sparkling and wicked, wild and vivacious. I am empathetic and comforting, nurturing and healing. I can be enjoyably dangerous. I can be utterly safe. I can wax philosophical or be exceptionally crass. I am any combination of these and more, more than I’ll even bother to list here, because we’ve all got these things within us. Realizing this is both humbling and intoxicating. The above is probably the first time I’ve ever written these things about myself, out loud, in public, before my eyeballs. Even now I hesitate, re-reading it, wondering if it’ll seem too immodest or egotistical. There’s something about our society that damns us for being our own cheerleaders, for liking our own Facebook status–unless we’re glamorously rich with our own reality show. But part of acknowledging one’s power is to let the words stand. Reverb has been making me think of writing as its own entity, and somehow it all clicks into place: As a writer, this is what I need to do in 2012–use this power to get my words out there. I’ve been dithering too long. The irony is by 6th grade I’d already been writing stories and poetry for years. I never seemed to remember that when my younger image would float to mind. Taking those first steps away from the crutch that’s worn in to the shape of your hand can be a very frightening experience. But then you realize you were always standing on your own two feet anyway. You just had to believe it. 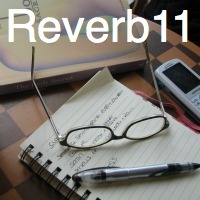 ← #Reverb11 Day 12: What are 12 things your life doesn’t need in 2012? “I am sparkling and wicked, wild and vivacious.” — Hell yes you are!!! You are an amazingly talented woman and I am proud to know you. Your words have a place in this world, they need to be heard. I’m so glad you are sharing them with us here. Also, those kids … sigh. All I can say is that Karma is a you-know-what. At the end of the day, I’d rather be the nerd that was picked on (which I was) than the bully who has to sit with the guilt of the picking-on. Noël, you warm my heart. You even took the exact line I was most unsure of leaving up and made it okay. I agree. Looking back, I did have fun, I did have friends…could it have been a lot easier? Sure. But I might have missed something essential in my character if I’d gone a different route.